If your car is in need of mechanical repairs and you are looking for a reliable mechanic in Bundoora, then you must bring in your car to us. 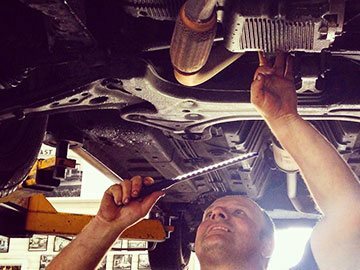 All Types Automotive is at your service for providing you the best car service and mechanical repairs in Bundoora! When our clients bring their car for a service or for mechanical repairs, they have full access to the mechanic working on their car, so they can stay updated on the progress of our work. If they remember anything additional or special that needs to be done while the car servicing is going on, they can let us know and we will oblige. Our detailed and comprehensive car services can keep Bundoora vehicles operating safely on Melbourne’s roads. Our expert mechanics who perform mechanical repairs on the cars of our Bundoora-based clients are extremely friendly and down to earth. They speak in a language which is easy for you to understand. They will not mind going to lengths explaining to you the condition of your car and the nature of mechanical repairs that need to be executed on it. As a professional and competent mechanic in Bundoora, we are available to answer any queries you may have concerning the procedure, cost, duration and components of your car service and mechanical repairs. While executing mechanical repairs, if any car part requires replacement, we will only use genuine and the best quality replacement parts available. Thanks to our passionate level of attention and the care we exercise with the repairs and inspections of all of the cars we work on the team at All Types Automotive go the extra mile to make your car handle and perform without a fault. Over our years of operation our expert team of mechanics and technicians have gained countless hours of expertise working on BMW cars and vehicles, ensuring that we deliver a BMW service experience Bundoora motorist can trust to account for their car’s particular needs. Our precise auto technicians have extensive knowledge maintaining and repairing the prestige engines and systems found in high-performance vehicles such as BMWs. To learn more about our servicing options Bundoora residents and beyond can call us today on 03 9469 2933.